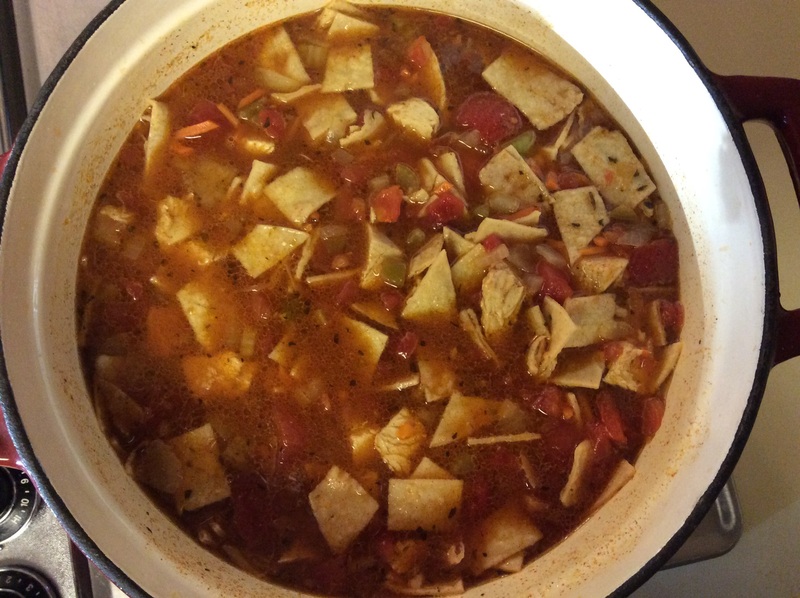 Chicken Tortilla Soup! | Let's Eat! This recipe was taken from food.com and I didn’t alter it a bit. It is fantastic just the way it is! 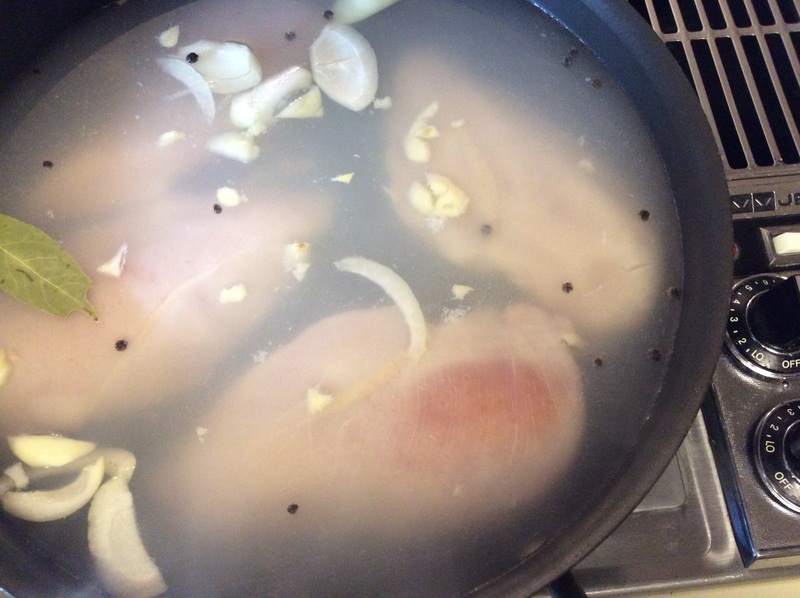 Poach the Chicken by adding it to a deep pan and covering it with water. Add a half of a small sliced onion, 5 garlic cloves, a few pepper corns, and a bay leaf. Bring to boil, then turn heat down and simmer on Medium/low heat for approximately 30 minutes or until internal temperature is 165 degrees. 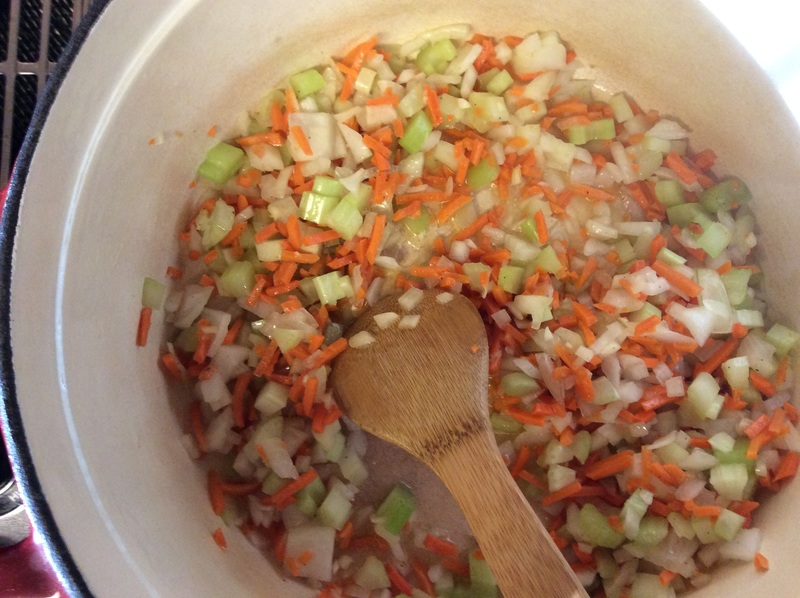 Saute carrots, onions, celery in corn oil, garlic, salt and pepper until tender. Add tomatoes, Rotel, taco seasoning. 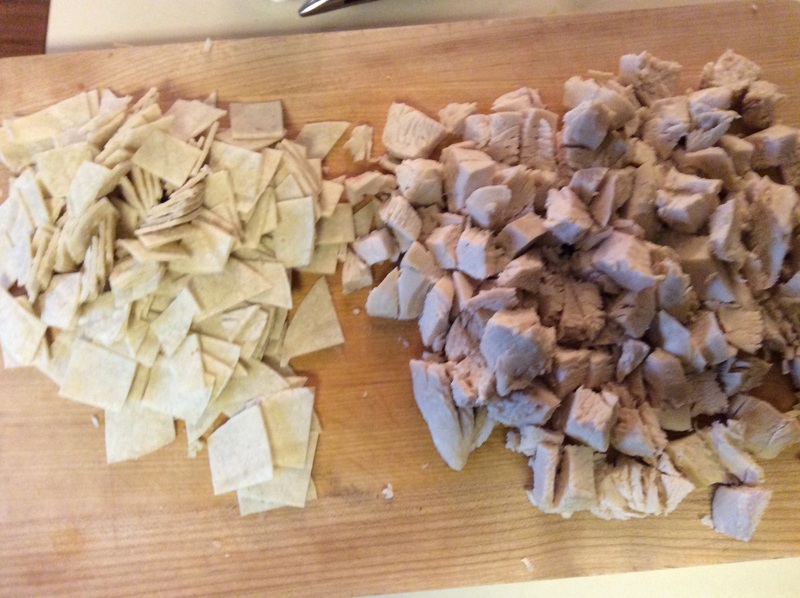 Cut Tortillas into small pieces and chop the chicken into cubes and add to broth mixture. 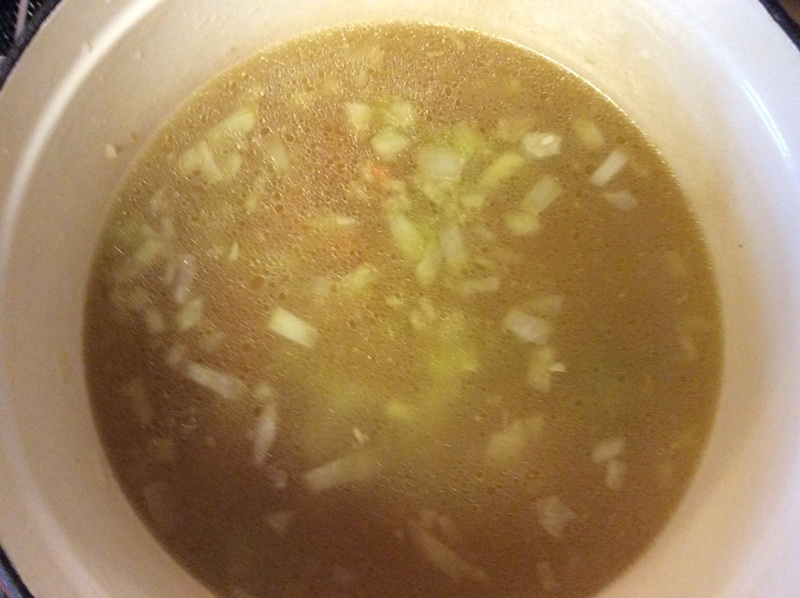 Let boil for 20 minutes or until tortillas are thoroughly incorporated into soup stirring occasionally to keep from sticking. Reduce heat and add 8 oz. cheese. Simmer for additional 10 minutes. Substitutions: 1 cup Masa Harina (Masa Flour) for 1 10 ct. package of corn tortillas. Gradually add masa flour mixing into broth, mixing thoroughly into broth. If thicker soup is desired, add more masa flour. You can also use grilled chicken fajita meat for poached diced chicken. 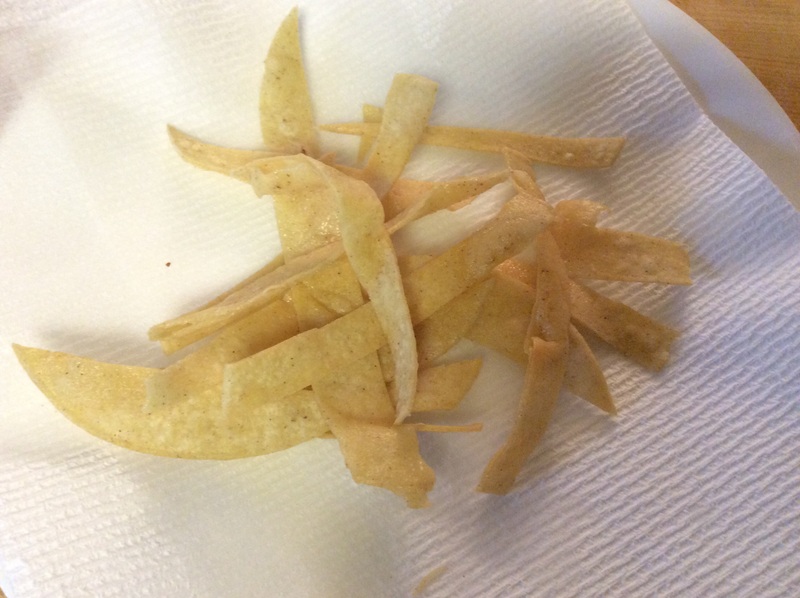 I added my personal touch by slicing several flour tortillas into strips and frying them and added them to the top of the soup as a garnish at the end instead of broken tortilla’s from a bag! This soup is one of the best things I’ve ever eaten! 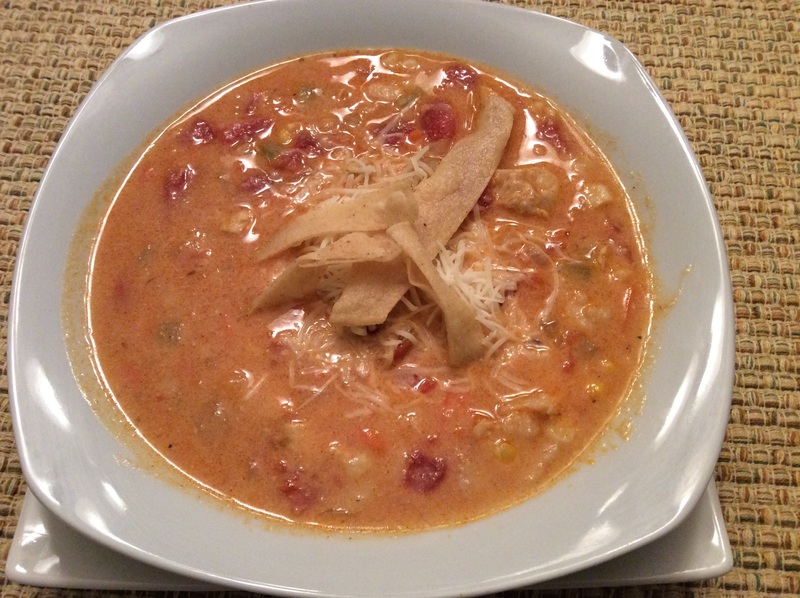 This entry was posted in Best thing I ever ate!, Recipes, soup and tagged Chicken Tortilla Soup!, Tortilla Soup. Bookmark the permalink.